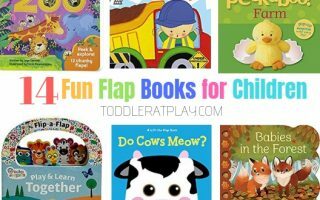 Who doesn’t like an activity that will keep toddlers busy, learning and having fun all at the same time? I sure do! 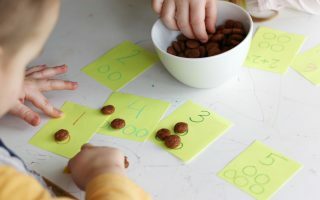 In fact I always have an easy activity ready for my kids in case I need to make a quick phone call or get some house chores done, like cooking or cleaning. There’s always a set of bins full of peas, beans, rice, scoopers, cups and all sorts of fillers right on top of my kitchen cabinets! All I do is bring it down for my kids and they stay independent and busy…usually for a long time! This Salt Painting Tray is yet another activity I will always have on hand from now on. My kids absolutely loved this idea! All you need is some salt (huge pack under a dollar! 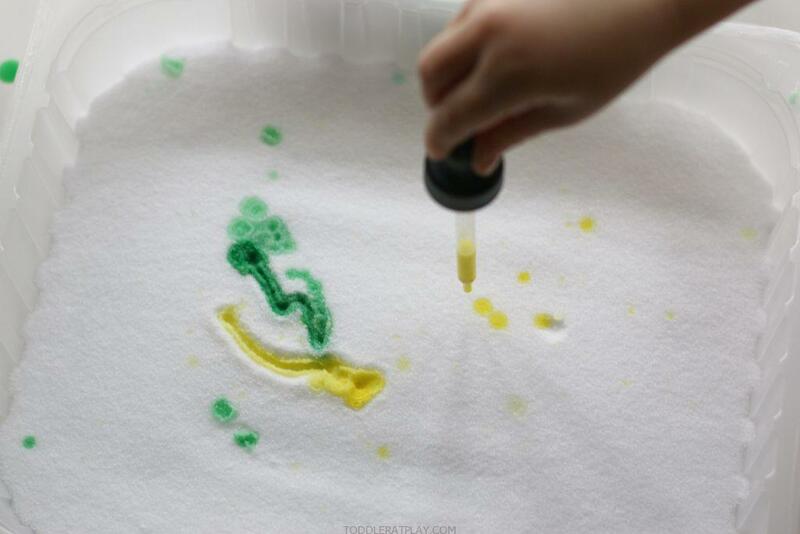 ), a tray and washable kids paint. Add some fillers and that’s it! This tray, however, is especially fun. Painting is always a good idea, but painting with droppers is even more fun! And painting SALT is a whole new level of experience for the little ones. They’ll love it! 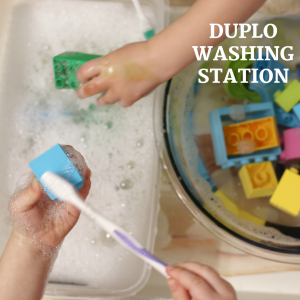 Want more activities for your kiddos to stay busy? First, dump the salt into the tray. Then add a little bit of each paint color into seperate cups (I cut styrofoam cups in half to make small cups) and add water, stir. Activities like these are great in so many ways. 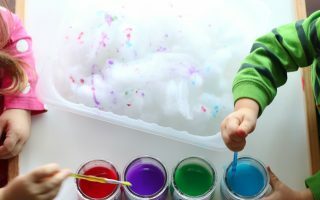 While improving and exercising important developmental skills, they also allow a child to unwind, relax and focus- making this painting idea wonderful for quiet times and independent play! WATCH THIS ADORABLE TODDLER AT PLAY QUICK TUTORIAL! 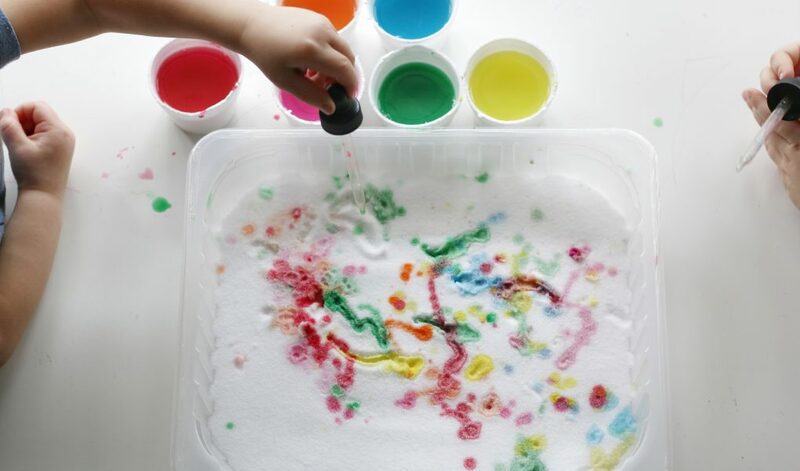 Will you make this fun activity for your toddlers? Trust me, they’ll love it!